Apparent ignorance might have saved Zwelinzima Vavi from even greater retribution by his erstwhile COSATU comrades. Vavi’s critique of the National Development Plan (NDP) as an updated version of the 1996 GEAR might have been even more robust – and, hence, attracted an even harsher response by his detractors – had he known that the NDP’s coverage of climate change is painted in GEAR’s neo-liberal colours. The similarities between the two documents begin with what Professor Jonathan Jansen aptly describes as symbolic policy. This is policy that, at best, is replete with noble though unrealisable intentions; at worst, it cynically creates the illusion of a strategy with coherent principles and an evidence led plan of action. It both cases, symbolic policy serves to reassure by inducing the belief that leaders are in control. Like GEAR’s broad objectives (growth, employment, redistribution), the NDP’s general pronouncements on climate change are hard to fault. 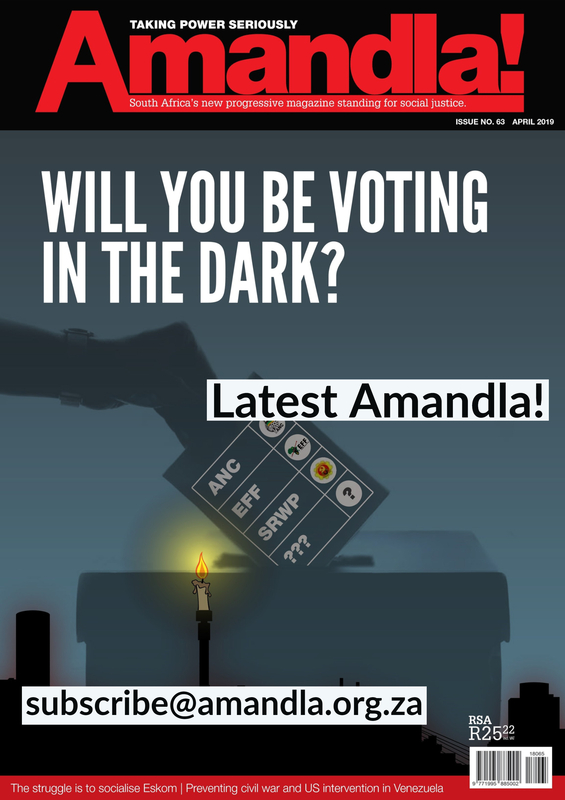 The NDP accepts that South Africa will be especially hard hit by climate change. Provid[ing] South Africans with access to secure housing, clean water and decent sanitation; and affordable and safe energy; (p.190). Address the structural and systemic flaws of the economy and society with strength of leadership, boldness, visionary thinking and innovative planning. Develop coherent and aligned policy that provides predictable signals, while being simple, feasible and effective (p.200). These fantasies and those of GEAR have a common parentage: neo-liberalism that limits the state to create and sustain business-friendly policies and practices. Giving primacy to protecting South African business (while simultaneously claiming to be responding to the urgency demanded by climate change). 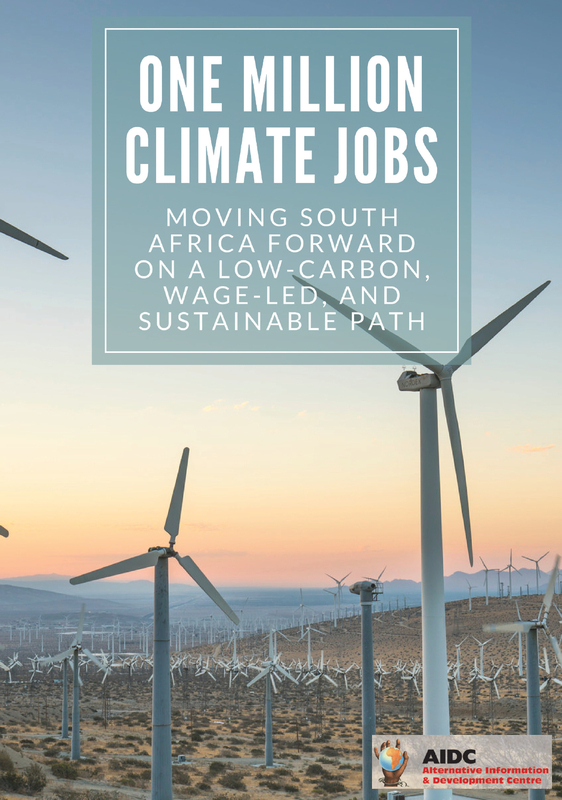 South Africa needs to remain competitive throughout the transition to a low-carbon future (p169). restricting the state to outsourcing RE at the pace set by the profit maximising private sector. these acknowledgements vanish when it comes to the Government’s carbon tax proposal (notwithstanding corporate objections). The NDP further reproduces the investor friendliness of GEAR by allowing the Mineral Energy Complex (MEC) to continue socialising its costs in order to maximise its profits. Recent local renewable energy bidding rounds attracted solar prices two or three times that of coal-fired electricity. ocontradicts the firm localisation policy of the DTI’s Industrial Policy Action Plan (IPAP) as well as the Department of Energy’s (DoE’s) Renewable Energy Independent Power Producer Procurement Programme (REIPPPP). This type of policy incoherence is underscored still further by the Government’s recent decision to build a third mega coal-fired power plant. The NDP’s central commitment to a low-carbon economy, as well as the urgency with which the NDP says this transition must take place, is thus made to look rather silly. Unemployment is a major cause of South Africa’s endemic poverty. The NDP is littered with recognition of how climate change falls unevenly on the poor. But, as detailed above, this recognition never gets beyond its rhetorical role as symbolic policy. Water security is probably the single most referenced issue at threat by climate change in South Africa. Yet the enormous connections between neo-liberalism and municipal dysfunction means that our water supplies are in a state of crisis even before the full impact of climate change makes it considerably worse. Some 36.8% of scarce fresh water is lost as leaks, at the cost of some R11 billion per year. The water in our rivers is now so heavily toxic that, besides being potentially fatal to those that drink it, it is threatening fruit and vegetable exports. Acid Mine Drainage (AMD) bears mention not so much because it, too, heavily contaminates water, but rather because it draws attention to the privileged protection given to the mine companies responsible for the disaster. The NDP’s commitment to creating a business friendly environment immunises the mine owners from the ‘polluter pays’ provisions of legislation rich in symbolic policy. There are limits to the efficacy of symbolic policy. If the gap between the rhetoric and reality is too large, enough people will eventually become aware of the chasm. When this happens, the reassurance that symbolic policy serves to provide gives way to anger, stoked still further by a sense of deception. It could be said that this anger characterises much of contemporary South Africa. It could even be said that Zwelinzima Vavi’s suspension is punishment for exposing symbolic policy by drawing attention to the irreconcilable contradictions within so much of government policy.